After our very first London Tube adventure as a flat, we were wandering around SoHo looking for a bite to eat. We were a bit put off by all the places offering a “reasonable” £10+ lunches, so we wandered around looking for something a touch more affordable. As the walk continued, our hunger intensified, and we began getting slightly desperate. 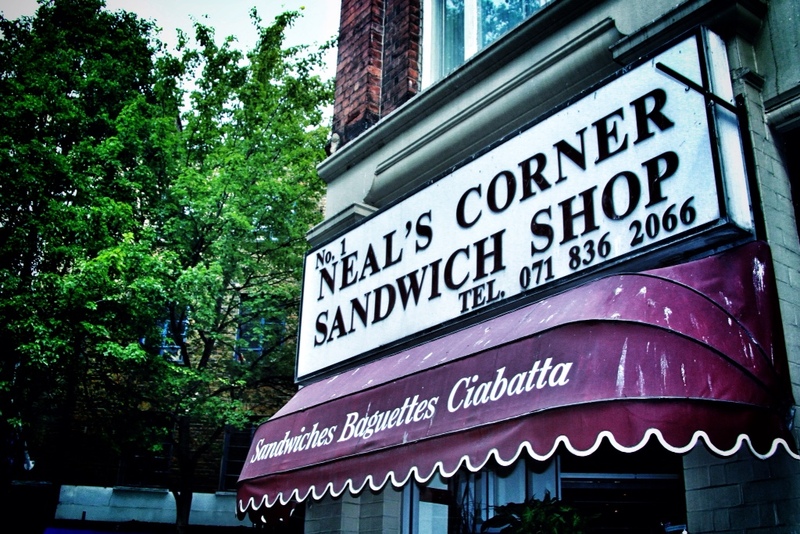 However, our patience, perseverance, and cheapness was rewarded when we found ourselves outside Neal's Corner Sandwich Shop. 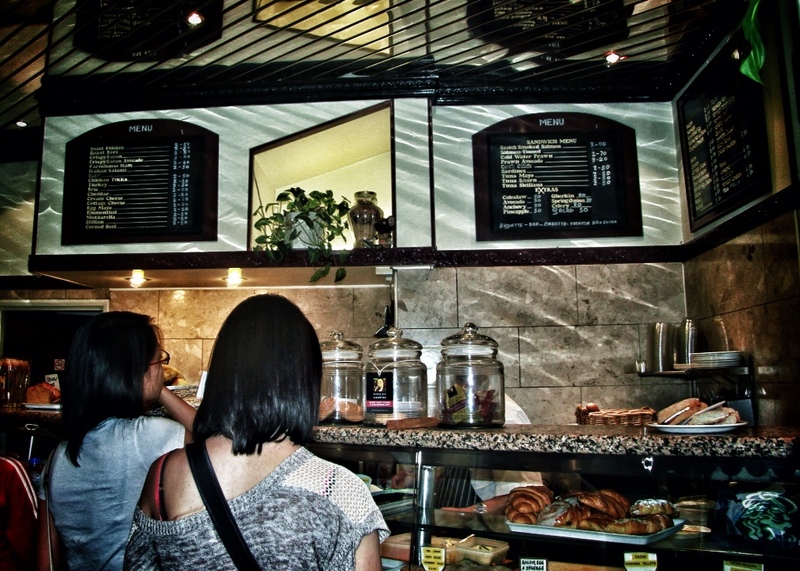 We walked in, found the prices reasonable and the food appealing. The older gentleman serving us (perhaps Neal himself?) was quite cordial and patient with us, explaining that sitting outside cost 30 pence more than getting the sandwich to go and recommending a few sandwiches to try. The little cafe had some outdoor seating and a variety of interesting sandwich options. I ordered the bacon, Brie, and cranberry sauce panini, which was served hot off of the panini press and straight over the counter to me with a smile by “Neal” himself. I carried it outside, where my flatmates and I enjoyed a little bit of the people-watching and some absolutely mind-blowing, wow-inducing sandwiches. The food quality we've been finding in London has really been extraordinary. I wasn't expecting such fresh and consistently delicious food everywhere, but even the lower-budget places use high level, hyper-fresh ingredients. The sandwich I ate was no exception. The Brie was obviously recently cut (not particularly waxy or dry) and the bread and bacon were both very warm and deeply flavorful. 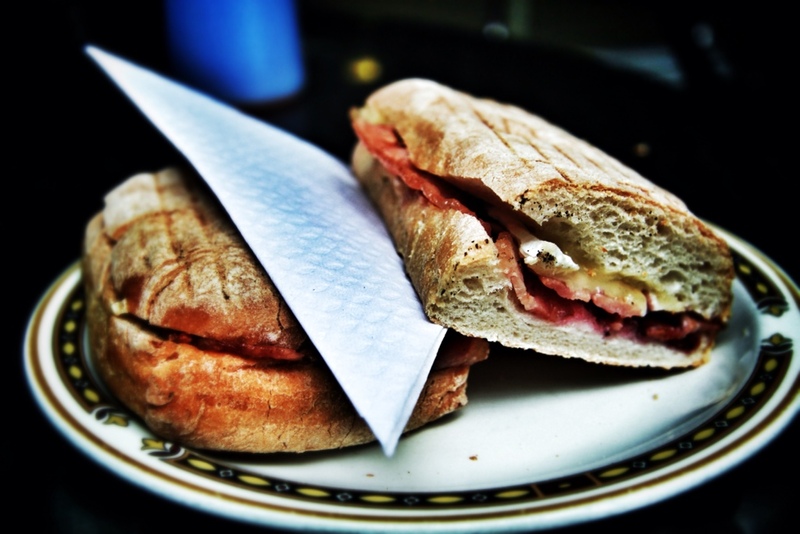 My first bite, with the cranberry overwhelming, yet simultaneously dipping under the Brie overtones, was punctuated with the bacon's saltiness, all set on the spongy, delicious loaf of ciabatta. I let out a pretty loud “mmmmmmmmm” with that first bite, which induced a few giggles from my flatmates, until they bit into their own sandwiches and reacted similarly. We managed to demolish our meals quickly and were all so thrilled to have successfully navigated a new piece of London, and have found a delectable sandwich shop along the way. After our little lunch, we felt rejuvenated, and ready to take on the rest of London! The rest of our adventurous day (including our first Tube ride) will be in the following post. Sounds like you guys were smart to try to “cut corners” and keep looking for an affordable eatery in Soho! Deelish! It was great! We’re watching our spending and eating to keep our wallets fat and our stomachs skinny!